Diplomats congratulated the Russian on the International Women's Day and gave her "the warmest wishes from all who are not indifferent to her destiny"
WASHINGTON, March 8. /TASS/. Russian national Maria Butina, currently under arrest in the United States, is optimistically minded despite the prison conditions she has to endure, the Russian embassy’s press service said on Thursday after Russian diplomats visited her in jail. "Our citizen, who fell victim to a provocation by US authorities, holds her head high. Maria is optimistically minded despite the prison conditions she has to endure," the press-service said. Russian diplomats "congratulated Maria upon International Women’s Day and conveyed the warmest wishes from all those who are not indifferent towards her fate." "We keep pressing for Butina’s release and her soonest return home," the embassy said. Last week the Colombia District court postponed the passing of the verdict by a month. Butina was arrested in Washington on July 15, 2018 ahead of the summit meeting between Russian President Vladimir Putin and his US counterpart Donald Trump in Helsinki. Moscow dismissed the charges against Butina as a frame-up and demanded her immediate release. 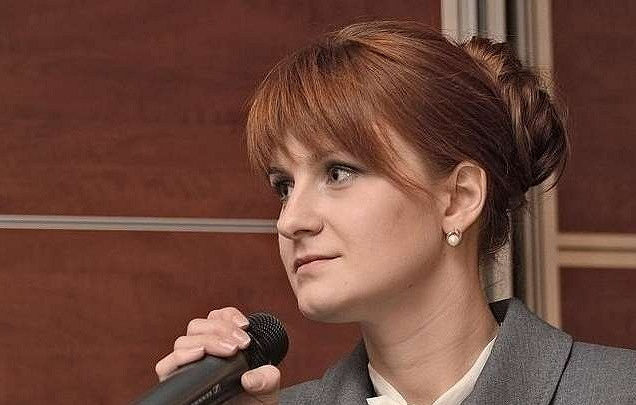 Butina, 30, was accused of conspiring to conduct activity in favor of a foreign country in the territory of the United States. US secret services argued that Butina conducted such activity without being registered as a foreign agent at the US Department of Justice. On December 13, Butina faced the Columbia District court to plead guilty to one count of conspiracy to violate the law governing foreign agents operating in the U.S. She signed a plea bargain with the prosecutors. No date for passing the verdict was announced at the prosecutor’s request. The Attorney’s Office said that the process of Butina’s cooperation with the investigation might take some time.